Revitalizing North America’s oldest company requires vision—and the ability to articulate it. Is Your Business *Actually* Different—and Better? “Leadership is about finding ways to get things done,” says Bonnie Brooks, the first female President and CEO of Hudson’s Bay Company, who, with sweeping, institutional changes, brought North America’s oldest company back from the brink of failure. Notoriously stylish, thoughtful, and market-savvy, Brooks speaks on anticipating customers’ needs and desires—never following them. Bringing over three decades of experience to global leadership in retail and marketing, Bonnie Brooks is one of North America’s great business success stories. In February 2014, Brooks was appointed Vice Chairman of Hudson’s Bay Company, the world’s oldest continuously operating company, which owns and operates Saks Fifth Avenue, Lord and Taylor in the USA, and Hudson’s Bay department stores in Canada. Prior to this role, Brooks was President and CEO of HBC; and before she oversaw the company’s successful turnaround, Brooks was based in Hong Kong, where she revitalized another iconic retailer, Lane Crawford, helming 500 stores across nine Asian countries. Brooks is Chaiman of the Board of Trustees of the ROM, appointed by the Premier of Ontario, a member of the Advisory Group of Smooth Commerce, and a member of the Boards for Rogers Communications, RioCan Real Estate Investment Trust, Chico’s FAS Inc., and Abercrombie & Fitch. Brooks holds an MBA from the University of Western Ontario and was the Parsons School of Design Honoree in 2013. Some said Hudson’s Bay Company couldn’t be saved. By 2008, the world’s oldest continuously running company was out of steam. With sales plummeting, and morale low, the brand had lost its lustre. Then, Bonnie Brooks took the helm. As the first female CEO and President of Hudson’s Bay, she brought sweeping and transformative changes. HBC was repositioned and transformed across Canada, merged with Lord and Taylor in the USA, and its successful IPO fueled the acquisition of Saks Fifth Avenue. The buzz grew, profits surged, and the brand was restored. In the end, HBC’s turnaround, achieved under enormous pressure, overshot all expectations. How did Brooks revitalize HBC? And what can your company learn from her success? Weaving the story of The Bay with her “turnaround” and career stories, Brooks talks, with charming ease and practical insights, about what it takes to grow—and change—any organization. What is your company’s actual vision? Can you articulate it clearly, tangibly? In a talk that encompasses leadership, marketing, strategy, and much else, Brooks offers a practical, stylish, and wholly optimistic view of best business practices. Bonnie Brooks exemplifies what women can achieve, on their own terms, in the corporate world. She is the only woman to receive Ivey’s prestigious Business Leader of the Year Award, and, as the first female President of the Hudson’s Bay Company, she spearheaded its celebrated turnaround from 2008 to 2014. Speaking directly to women executives, board members, and managers, and to the people aspiring to these roles, she imparts lessons on leadership, decision-making, and work-life balance. Taking audiences on her globe-spanning career—from Executive Vice President of Holt Renfrew, Editor of Flare, and CEO of the Bay in Canada; to Lane Crawford in Asia; to HBC’s acquisition of Saks Fifth Avenue and Lord & Taylor in the States—Brooks shares the wisdom she’s accumulated as an inspirational female executive. “If you can dream it,” Brooks implores, “you can do it.” And her career, still going strong, bears this out, time and again. 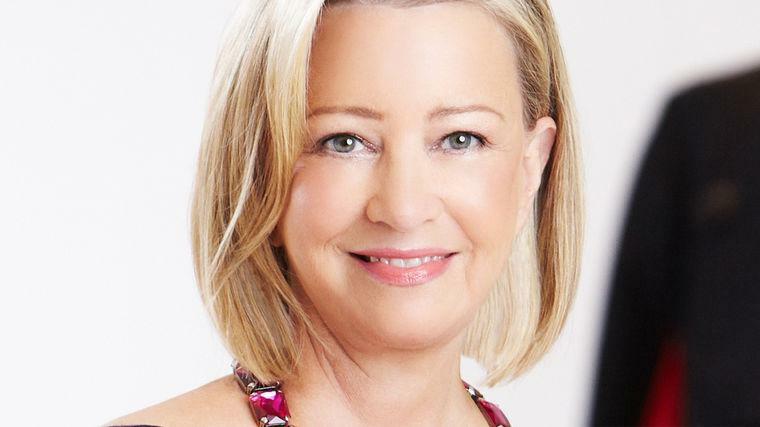 Throughout her career, from fashion stylist, writer and merchandiser to Vice Chairman of the Hudson’s Bay Company, Bonnie Brooks has mixed both the creative and commercial aspects of the business and transformed them into a new “skill set”—which can be a rare and valuable combination—for gaining a competitive advantage. Drawing on her decades in the fashion industry, Brooks shows how new innovations and advantages can arise from the fruitful collision of commerce, art, and design. A successful company can no longer focus solely on the more traditional business aspects. Unfettered creativity, visual thinking, and other innovative measures gleaned from various artistic fields must work in tandem with corporate strategies. Brooks provides insights how to combine these two seemingly disparate elements into a harmonious and profitable whole.